Entrapment!!! What were you meant to do... The bin was right in front of you! 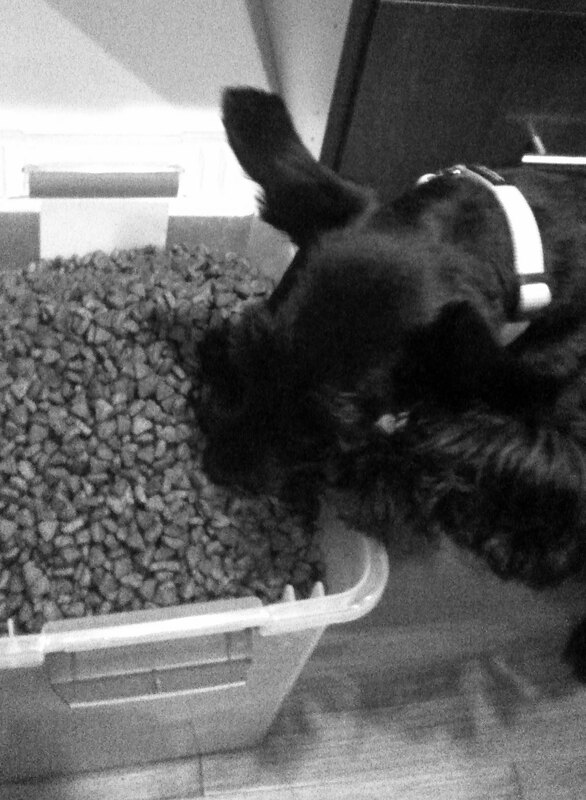 Oh .... Mr K, it's so unfair, but we're sure you sneaked a few more bits of kibble than Heather did, now didn't you!